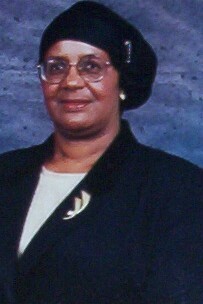 DR. BERNICE MOLAND is the late wife of our pastor. A native of Damascus, Arkansas, Dr. Moland held a Bachelor of Science degree in Elementary Education from the University of Arkansas at Pine Bluff; a Master of Science degree in Elementary Education from Southwest Texas State University in San Marcos, Texas; and a Doctor of Education degree in Educational Administration from Baylor University, Waco, Texas. Dr. Moland retired as the Special Assistant to the Superintendent for the Killeen Independent School District in 1997. Dr. Moland co-owned Js Christian Books and Church Supplies in Killeen. Dr. Bernice Moland's responsibilities at Greater Peace Missionary Baptist Church included: Director for Curriculum; Director for Church Training Union; and adviser for the Willing Workers Auxiliary for Women.